Last March, the Chickamauga Study Group raised $900 towards Civil War preservation. Every year, at some point, I ask those present where they would like to see the money go. Truth be told, there are always more causes than cash. In 2015, we donated approximately $900 to the Civil War Trust’s appeal for Brown’s Ferry. This year, many of us were aware of a similar appeal being readied for land purchase at Rocky Face Ridge, outside of Dalton Georgia. That appeal was made public a couple of months ago. But some on the bus raised a good point – that money raised by the Chickamauga Study Group should be going to efforts to help Chickamauga, as well. I agree with this. Also, I am increasingly concerned with the growing maintenance backlog at our National Parks – we save lots of land, but who will interpret it, preserve it, repair the monuments, and the like? In order to support both causes, I have decided to split the donations. $450 went to the Civil War Trust, for their Rocky Face Ridge appeal; that money will be leveraged with a 15 to 1 match. Great news. $450 also went to the Jewell Memorial Restoration Fund, managed by the Friends of Chickamauga and Chattanooga National Military Park, for the purpose of repairing and restoring monuments. Some of you probably know that I am a member of Emerging Civil War, the group of historians who both blog and write on all aspects of the war. Sometimes deciding where to post something is a bit of a toss-up: should it go here, or there? Recently I have begun a series of posts over on ECW that ties in well with this readership and subject, as well. In order to keep current without too much spamming, I thought I would link posts between the two sites. Longstreet goes West, Part One: Machiavellian or Misunderstood? Martin Burlingame and John R. Turner Ettlinger, Inside Lincoln’s White House: The Complete Civil War Diary of John Hay (Southern Illinois University Press, 1997), 85. Prior to the fight at Chickamauga, Burnside and Rosecrans had been in regular communication. With the capture of Chattanooga on September 9, it looked to both men as if Bragg were retreating, leaving Burnside nothing to fear from that quarter. Accordingly, Burnside took that part of his force not tied down occupying Knoxville towards Jonesboro Tennessee, near the Virginia-Tennessee border, to try and secure his northern flank. A small force of Confederates under Major General Samuel Jones still controlled southwest Virginia and, if reinforced, could pose a threat to Burnside’s control of East Tennessee. At Jonesboro, Burnside was about 100 miles northwest of Knoxville, and more than 200 miles from Chattanooga. Sometime on the morning of September 21, Braxton Bragg and James Longstreet had their first post-victory meeting. Bragg conferred with Longstreet twice before: near midnight on the 19th, when Longstreet reached Bragg’s headquarters after an circuitous journey from the Catoosa Platform; and about mid-afternoon on September 20, after Longstreet’s breaking of the Union line at Brotherton cabin, but while the fight for Horseshoe Ridge still raged. In that first meeting, Bragg outlined his plans after a day of frustration, probably hoping that Longstreet could change the dynamic. In the second, Bragg seemed entirely pessimistic, borne down by the failures on the Confederate Right, while Longstreet was ebullient, energized by his tremendous success. The contrasting attitudes of this last meeting could not help but weigh on Longstreet’s mind. They met again when Bragg rode up to Longstreet’s headquarters, now somewhere near the Dyer House, at about 8:00 a.m. This proved to be a fateful encounter. Bragg left no record of their exact conversation. Longstreet described it variously, outlining the same basic course each time. It was clear to both men the Federals had disengaged successfully, and now held Rossville in sufficient strength to make a frontal attack there unpalatable. 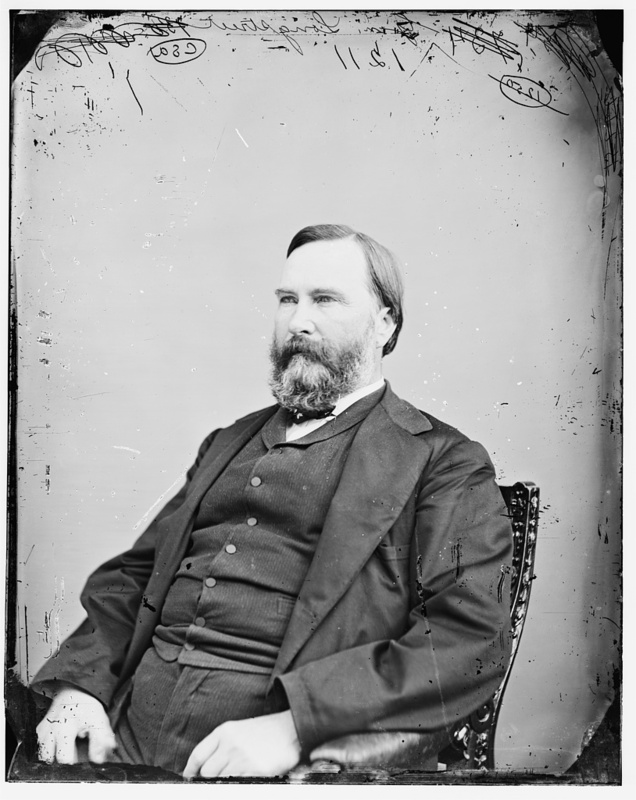 Accordingly, Longstreet advocated a solution that would have been right at home in Virginia: a turning movement. The Army of Tennessee, he argued, should move northeast, cross the Tennessee River upstream from Chattanooga, and operate either against Ambrose Burnside at Knoxville, Rosecrans’s supply line back to Bridgeport, or more daringly, march back into Middle Tennessee. Longstreet’s accounts are vague on details, offering up different versions of the discussion in his multiple descriptions of the encounter, but they all follow the same general course. Longstreet recorded his first account of the meeting just four days later on September 25 in a confidential wire to Secretary of War James Seddon. In it, Longstreet “suggested at once to strike at Burnside, and if he made his escape, to march upon Rosecrans’ communications upon rear of Nashville.” The next version came in his official report, written sometime in October. Here Longstreet said he advocated “crossing the river above Chattanooga, so as to make ourselves sufficiently felt on the enemy’s rear as to force his evacuation of Chattanooga, and indeed, force him back upon Nashville, and if we should find our transportation inadequate for a continuance of this movement, to follow up the railroad to Knoxville, destroy Burnside, and from there threaten the enemy’s railroad communications in rear of Nashville.” In an 1884 letter to D. H. Hill, Longstreet explained that he was “laying a plan by which we might overhaul the enemy at Chattanooga, or between that point and Nashville.” In 1904 memoirs, the Georgian reiterated the version of the plan found in his official report: Cross the Tennessee, force Rosecrans out of Chattanooga, and then move on either Knoxville or Nashville. Far from being fully formed, Longstreet’s concept was really only a broad strategic outline. The variations in objective (the destruction of Burnside, flanking Rosecrans out of Chattanooga, or moving into Middle Tennessee) were simply the possibilities that suggested themselves to Longstreet as he contemplated what should come next, and should not be regarded as anything more definite. All three options were equally feasible and strategically sound, supposing the army could move with alacrity. His thinking foundered, however, on the shoals of logistical reality. Unless the army’s supply trains could be vastly and rapidly augmented, the Rebels could not venture more than a few miles from a secure rail-head. Longstreet’s men were already feeling the effects of that limitation. Just that morning, Longstreet “complained to Bragg that many of his men needed provisions, and as his staff officers had not been provided with the means of supplying the troops, he [Longstreet] could do nothing” about the problem. Unfortunately for the Confederates, neither could Bragg. The Western & Atlantic Railroad, over which all of this logistical traffic must flow, was stressed to the breaking point. The rail line had spent the past week shuttling Longstreet’s infantry to the front—a high priority for Bragg’s army. The result was that the army was much stronger, and had won a decisive tactical victory, but the men were now short on rations. Catoosa Platform, where the rail line terminated, was 12 miles distant from the McDonald farmstead, which now marked the center of mass for Bragg’s army. Ideally, Bragg wanted to advance the army’s rail depot northward to Chickamauga Station, about 15 miles beyond Catoosa and just a couple of miles from McDonald’s, but to do so the intervening line through Ringgold would have to be put back into service. Most significantly, four bridges destroyed by Forrest’s men would have to be repaired before the rail-head could be advanced. Bragg had already begun that job, ordering at least one company of the newly formed 3rd Confederate Engineers onto the task on September 17, but the work was nowhere close to complete by the morning of the 21st. Another huge obstacle to Longstreet’s plans was the Tennessee River itself. The drought had made the Tennessee fordable in many places, at least by infantry and cavalry. Even some artillery might be rafted across. Crossing an entire army and keeping it supplied indefinitely, of course, required bridges. And bridging materials Bragg had in sufficient supply. In fact, he probably had more bridging assets than did Rosecrans. Back in July, during the retreat to Chattanooga, the Rebels had sufficient pontoons to span the Tennessee twice, once at Battle Creek and again at Kelly’s Ferry. In August, these same pontoons were towed to Chattanooga, where later that month some of them formed the swinging bridge that occupied John T. Wilder’s attention while Eli Lilly’s guns shelled the city. A couple of weeks later, while he was preparing to abandon Chattanooga, Bragg ordered the bridges taken up and shipped south. On the 21st of September, Bragg’s pontoon train was all the way back at Cartersville Georgia, more than 60 miles to the south. Moving the boats back north would also require the use of the railroad—once again at the expense of other supplies like rations and ammunition. Once at Catoosa, more horses and mules would have to be assigned to pull those pontoons, a further drain on the army’s already limited supply of livestock. However feasible that task might be in the long term, it certainly could not be accomplished quickly. The final problem with this solution, as Bragg saw it, was that Longstreet’s proposed movement would mean exposing the Army of Tennessee’s supply line to a direct thrust by Rosecrans. Despite all the new Confederate reinforcements, Bragg still harbored the misapprehension that the Union army was “now more than double our numbers.” Who would defend Ringgold and/or Chickamauga Station once the army was on the far side of the Tennessee? To Bragg, the risks seemed too great. Moving the Army of Tennessee back into its namesake state exposed the Rebels to the very real danger of being isolated and destroyed in turn, more so than such a move threatened Rosecrans’s Federals. It was far more likely that Union reinforcements could be quickly sent to defend Stevenson and Bridgeport than could more Rebels be stripped from other departments to defend Ringgold. For all of these reasons, Bragg understood that Longstreet’s concept was simply impractical. However, he failed to make that point clear to Old Pete. According to Longstreet, Bragg told him just the opposite. “He stated that he would follow that course,” claimed the Georgian in his memoirs. Whether Bragg did a poor job of updating Longstreet, or Longstreet simply ignored the facts in order to further his own idea, this fundamental divide would produce no end of difficulties between these two men in the days to come. This fundamental misunderstanding between the men would vastly complicate Bragg’s future tenure in command. Longstreet did not instigate the mutiny which was to soon ravage the Army of Tennessee’s command structure – the seeds of that “revolt of the generals” lay elsewhere. 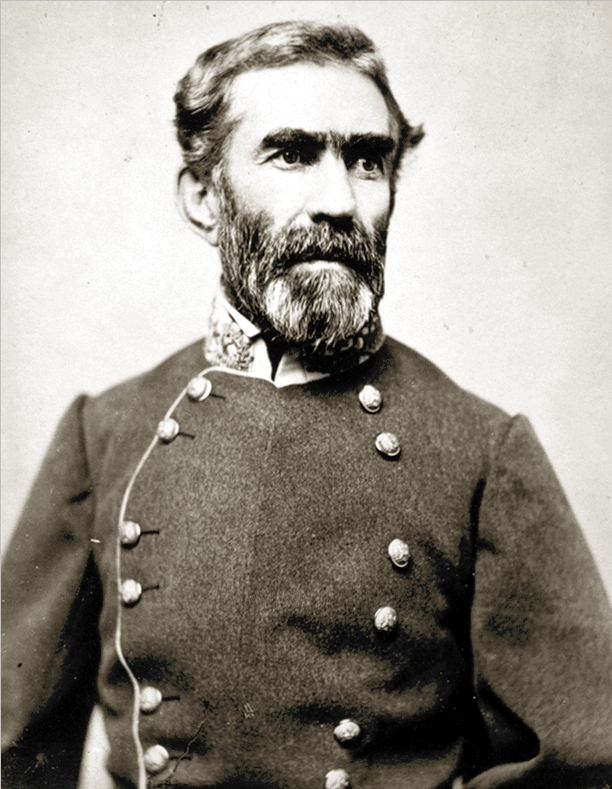 But when the time came to choose sides, Longstreet chose unhesitatingly: in opposition to Braxton Bragg. Volume 3 is at the printer. That means that in a few short weeks, I will have copies in my hands. We finished proofing last week, and I have seen a pdf of the whole thing: at about 450 pages, it won’t be as lengthy a tome as the previous volumes, but it is still a large chunk of paper and ink. For those of you who wish to have signed copies, now is the time to order. You can get them direct from Savas Beatie, or come visit me at Chickamauga-Chattanooga National Military Park over the battle’s anniversary weekend – September 16-18 – where I expect to be doing signings. That weekend will mark the book’s official debut. Volume 3 covers the battle’s aftermath, with discussion of each side’s options (did Bragg bungle away the CSA’s best shot at victory?) and includes extensive order of battle detail. Now is the time to get all three volumes in hardcover, if you don’t have the first two, or complete the set.